This entry is part 12 of 16 in the series Belgium in a Glass. 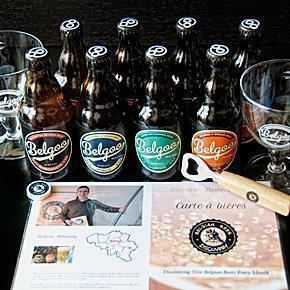 Want to taste Belgian beer and learn about small, local, Belgian breweries, without even leaving your house? With boxes from Belgian Beer Discovery, you can taste your way around the country every month. When I started the Belgium in a Glass series, my modest goal was to make Belgian Beer a bit more accessible. I am not an expert on beer, by any measure, and I knew little about what makes Belgian beer so special. Writing this series has been a good excuse for me to learn more. Of course, it doesn’t hurt that I get to drink the beer too! 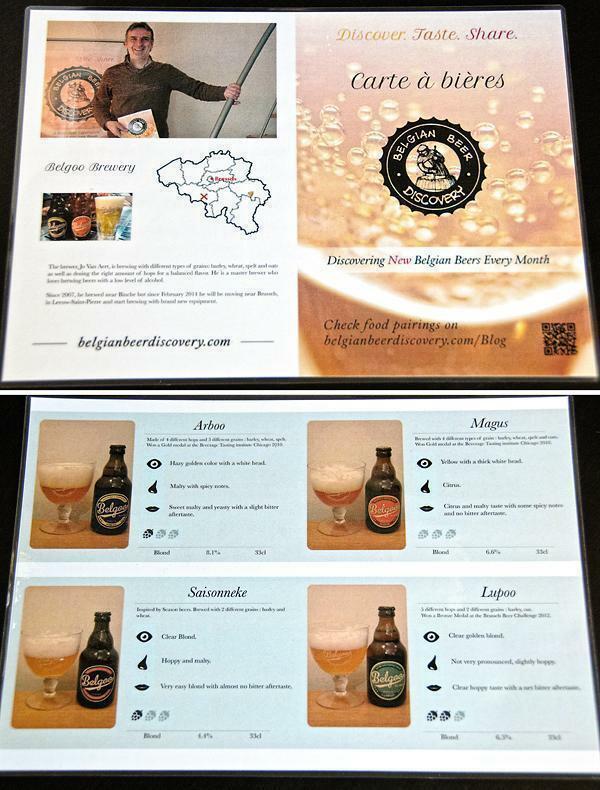 When Paul, from Belgian Beer Discovery, first contacted us about their beer box service, I immediately thought it was a nice complement to my series. Each month, they prepare a selection of beer from a different brewer and deliver it to their subscribers. Not only do you get to enjoy a different Belgian beer every month, but you also learn about the beer along the way. Short of visiting a different brewery every month, this is a great way to get to know Belgian beer. Alison and I met Paul and his partner, Dario, last summer, as they were just kicking off the project. 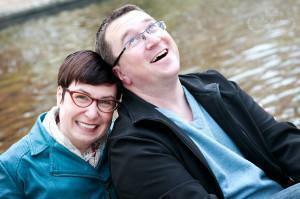 Both Belgian, they started Belgian Beer Discovery to share their passion for beer with people around them. Belgium has many well-known international brands, such as Chimay, Orval, and Stella, but there are countless that are unknown. Paul and Dario saw the potential in these lesser-known beer and their stories. Over the last year, they’ve been experimenting with their offer, which has resulted in the monthly beer box. Each month, the base package contains a selection of beer from a brewery or a special collection. The number of actual bottles depends on the bottle size, but for a normal sized beer, there are eight bottles. The box also contains a laminated sheet describing the brewery and offering tasting notes for each beer. The lamination is a nice touch, keeping the paper straight and dry (important when sampling!). You can order the box as a subscription via the Belgian Beer Discovery website. When you sign up, you choose to order the monthly box for a one, three, or six month period. Obviously, the six-month order is cheaper per month than just ordering it every month. However, the flexibility is useful if you travel. The order process also allows you to customize your order by adding other items. You can add matching beer glasses (pretty much a requirement in Belgium; you don’t want to drink out of the wrong glass! ), a copy of the new Belgian Beer & Food magazine, a bottle or two of Westvleteren 12, Dolfin chocolate, and more. It’s a great way to prepare a gift for that special someone who enjoys beer. At the beginning of the month, each box is prepared based on your subscription and order. Once packed, the boxes are available to pick up in Brussels (near Madou). For an extra fee, you can have the box shipped to you, which is a great option if you don’t live or work in Brussels. My preference is delivery so I don’t have to find parking or carry the box around the city. I was excited to get my first box. It arrived mid-March and featured beer from the Belgoo brewery. 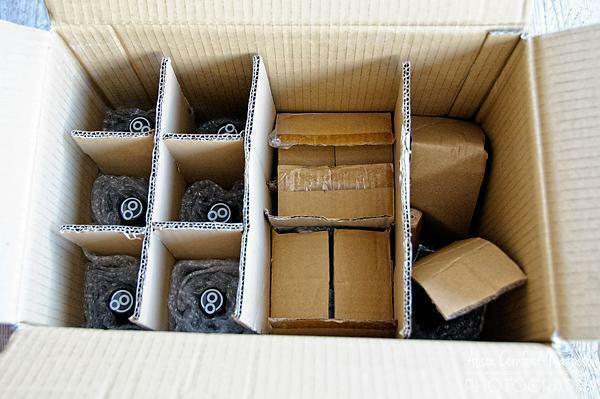 The box was packaged well, with each bottle wrapped individually and the glasses in separate boxes. There was little chance anything was going to break in the box. Top marks for packaging! 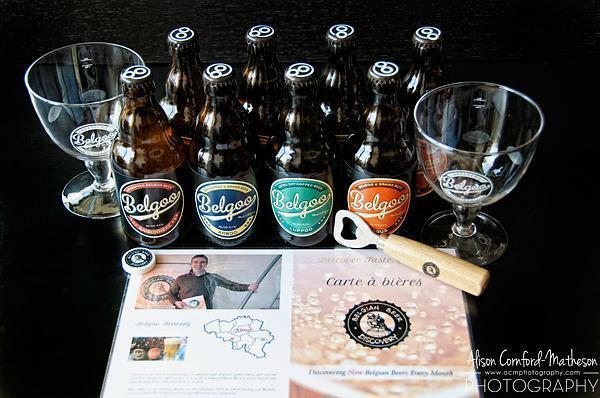 Andrew’s first look inside his Belgian Beer Discovery box reveals a copy of Belgian Beer & Food magazine and a poster. Inside, the beer bottles and glasses are well packaged and secure. I’ve had one or two of Belgoo’s beer in the past couple years, but didn’t know much about the brewery. Now I had four pairs of beer to sample, along with some tasting notes and information. Saisonneke (4.4%) – This is a blond, hoppy, slightly bitter saison-style beer. This means it is a golden colour, a bit dry (the bitter, tart which makes your mouth pucker), aromatic due to the hops, and lower alcohol. I paired this beer with a stir-fry to counter some of the spice. Magus (6.6%) – A malty four-grain blond beer with a hint of citrus. I paired this with some Mexican food as the citrus and malt complimented the flavours in Mexican dishes. Lupoo (6.5%) – A straight up blond beer. Not too hoppy, but a great beer to enjoy on a warm day. You could pair it with many things, but I’d just enjoy this beer with some charcuterie and cheese. Arboo (8.1%) – The strongest of the lot, Arboo is malty with a slightly bitter aftertaste. It’s got a hazy golden colour and I found it a bit dry. Spring is making me think of asparagus season and I think this would pair nicely with some grilled (green, not white) asparagus. Yum! Belgoo also produces a Bio Blond and Bio Amber beer, but I’ve not had a chance to taste them. I thoroughly enjoyed the Belgoo beer and I’m looking forward to next month’s edition. The monthly curated box is an easy, tasty way to explore Belgian Beer. Even if you know nothing about beer, you’ll learn something with each box and each month you’ll experience a different beer you are unlikely to find except at specialist stores or bars. Also, beer doesn’t have to be drunk by itself. As you see from my notes, it can pair nicely with other foods. Belgian Beer Discovery also produces their own beer pairing suggestions on their website and they’ve begun offering beer pairing events via Bookalokal. Obviously, the Belgian Beer Discovery box is more expensive than buying beer yourself, but you are gaining the convenience and the knowledge imparted by the Belgian Beer Discovery Team. In the end, I think they are asking a fair price for what they are offering. April’s selection has just been announced and it will come from the De Leite brewery. I hope you give it a try. But please enjoy responsibly! How do you find new Belgian beer to try? We’d love you to share your secrets in the comments below.